One of my favorite things is to sit down and look out and decide what it is I want to accomplish. Fresh slate. I have been doing this all my adult life… and in 2002, I created a goal/intention setting wheel that the tribe of Big Fish Nation has been using ever since. 1000’s have used it. It is a tool that simplifies the process of goal setting and also is supported by creating an intention. What I have found over the years is that sometimes in life, goals need to be dropped for one reason or another but the intention serves as a guiding light no matter what. 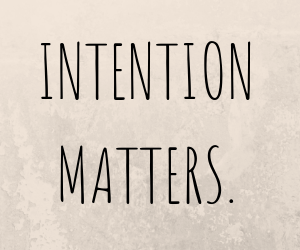 Intentions are magical and help us have the impact that we want to have in our world. Every year in December I host a live teleclass were 50+ people consistently participate to take part in the inspiration and the magic from that hour. From there, they create their own Big Fish Wheel for the next year. It does not matter if it is mid-year, this process is worth it. It is simple. It is fun. It is affordable. It is a game changer. You can purchase the recording and start today, it is never too late. 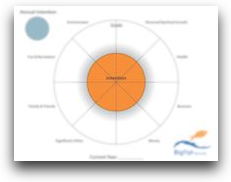 When you purchase the recording or the live teleclass, you will also receive the downloadable Big Fish Goal wheel to print and use. Teams do this. Families do this. Couples do this. Individuals do this. Girlfriends do this. Guys do this. Is it time for you to do it? If you prefer to read about it, purchase my Big Impact book in hardcover or ebook. Experience our updated ‘famous’ Goal Wheel in action! Most of us have goals we want to accomplish and sometimes the ‘how’ gets in the way. 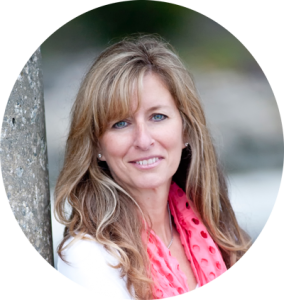 So over 17 years ago, I developed a structure to help you naturally have a more balanced approach to setting and achieving goals. This is our most popular teleclass of the year. NOTE: IF IT IS MID YEAR, and you have never experienced one of our Teleclasses, Email Lorin, for a free session! WHERE: The comfort of your own desk…. call-in number provided after you register.